Adorable Pup Sneaks Into Food Container… Then Can’t Help Himself! Diets are so tough to stand by! There’s temptation everywhere we look – a coupon for a pizza place, free cupcakes for lunch at the office, or maybe even the chocolates a spouse picked up lying not-so-innocently on the table. But at least we can take comfort in the fact that we’ve never failed our diets as badly as this pup did! 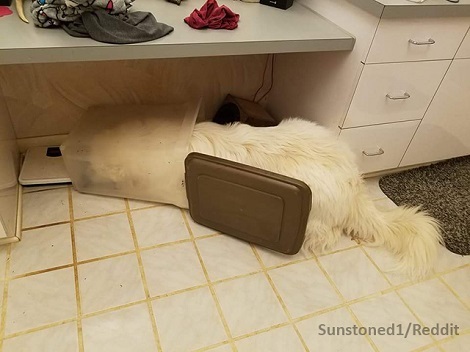 When Jack the Great Pyrenees pup’s Dad, a Reddit user with the username Sunstoned1, walked into the kitchen, he was surprised by an exasperating but adorable sight! Jack had found a way into the storage bin Dad uses for his food and eaten it clean empty, consuming a whole day’s worth of food in one mere sitting! 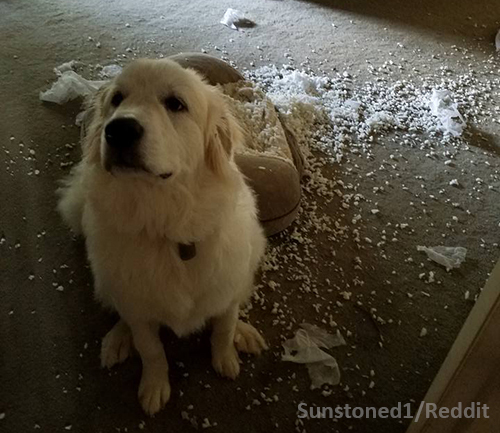 If that wasn’t embarrassing enough, Jack was caught red-handed – or rather, red-pawed in a hilarious way. 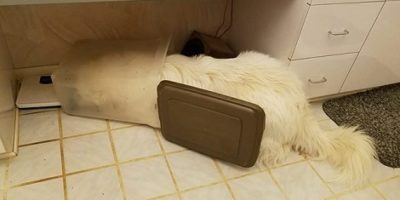 After eating all that food, he’d passed out in a food coma nap right inside the bin itself, his whole face and upper body submerged within it! Oh no, poor Jack! There’s no way he can even pretend he’s not guilty for this one! 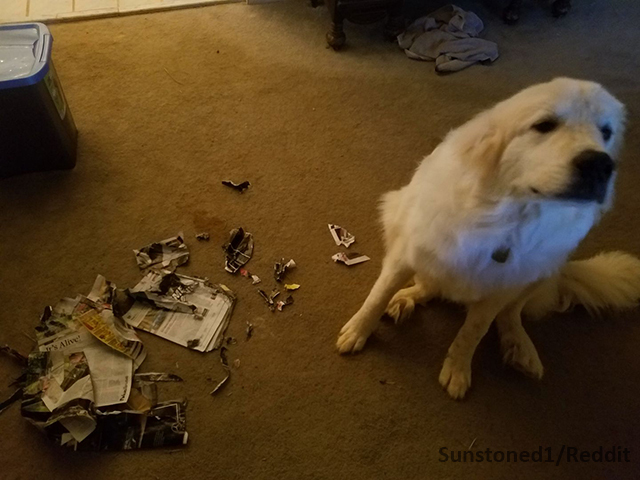 The picture Sunstoned1 posted of Jack’s silliness quickly went viral. But this is far from the first time that Jack has decided to eat things he isn’t supposed to. 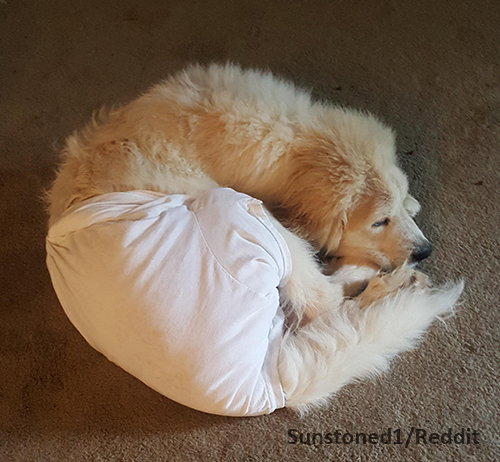 He’s eaten his human sister’s homework, Dad’s magazines, his brand new handmade bed within 3 days of receiving it, and even his own bum fur! It’s safe to say that diets just aren’t Jack’s thing. He’ll eat anything, even if it isn’t food. It’s a good thing Dad’s there to keep an eye on him! Adorable Pup Tries Every Move She Can To Reach Her Prized Possession!